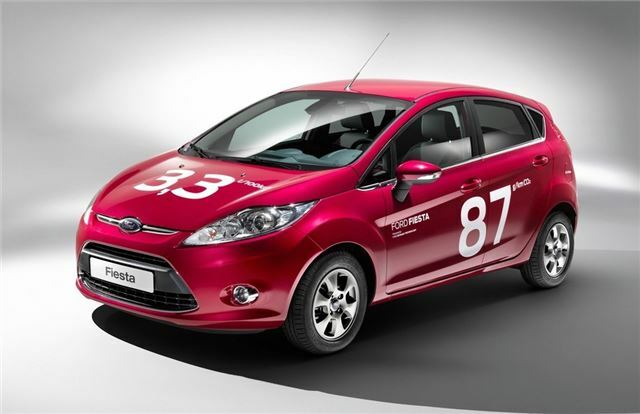 Ford has improved its Fiesta Econetic even further with economy now up to a claimed 85.6mpg compared to 78.5mpg. CO2 emissions are down too - from 95g/km to just 87g/km - so it remains at zero annual VED and exempt from the central London congestion charge. The improvements are a result of various changes including the introduction of an automatic engine start/stop system, revised gear ratios and regenerative braking. The Fiesta also gets low rolling resistance tyres, an aero pack including wheel deflectors and a shift indicator light that suggests to the driver the best gear to be in for economy. The 1.6-litre TDCi engine still has the same 95PS but it has been tweaked to be more efficient as have the air conditioning, cooling fan and the alternator. The Dagenham plant where the Duratorq TDCi engine are built has also been made more efficient and gets all its electricity from renewable sources with three wind turbines. The Ford Fiesta Econetic comes in three trim levels, Edge, Zetec and Titanium with prices starting at £14,445 for the three-door Edge model. The Fiesta Van Econetic also benefits from the improvements.